Possibilities shared 94.9 The Bull‘s live video. Eloquent, elegant and written with the sort of honest voice few writers have the skill – or courage – to sustain, Augusta writer Turner Simkins’ book Possibilities, out now, functions as something far more than memoir. 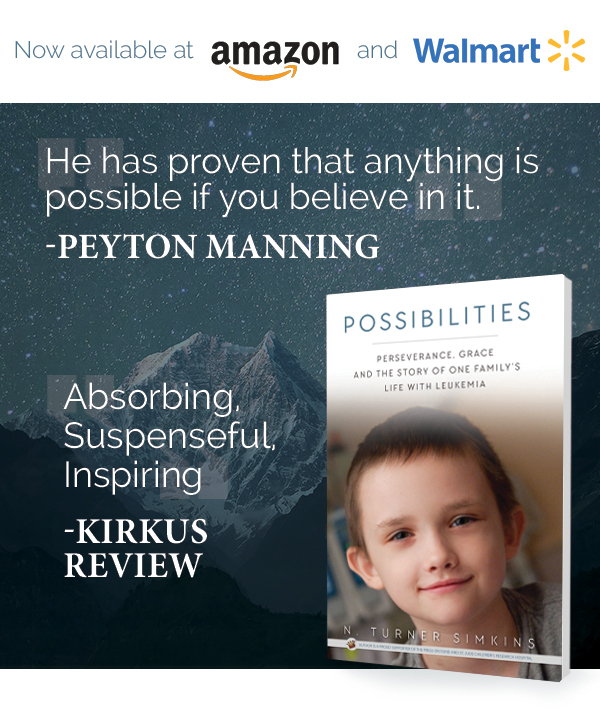 In “Possibilities,” Turner Simkins tells of his son’s fight against leukemia. 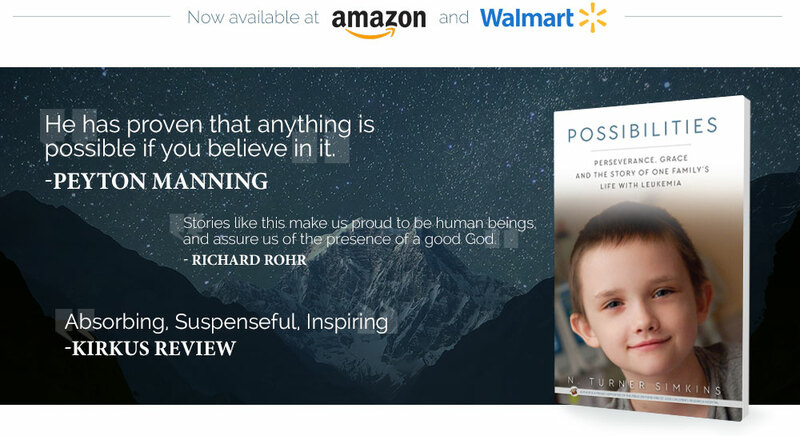 While the book, which documents his young son Brennan’s fight against a rare form of leukemia, traces the story from diagnosis through treatment, the approach – which Simkins calls a sort of war journal – divests the book of some of the standard figures of speech that often fuel, and ultimately dilute, similar work. An adaptation of nearly four years’ worth of blog entries – the original draft was approximately 2,000 pages while the final product is an incredibly brisk 285 – there’s never a feeling the raw emotions, stark moments or, conversely, celebratory moments have in any way been composed or edited. They feel real and immediate. They bristle with an honesty almost confessional, although never uncomfortable. It’s an approach that works for a variety of reasons. The most obvious is it is the sort of parent’s story that is relatable. We all worry about our children. We all fear moments of helplessness. But it also works as a piece of literature, because Turner Simkins is a writer of rare gifts and intelligence andPossibilities is dependent on not only his and his family’s experiences, but his facility with words as well. As a writer, Simkins understands that often less is, in fact, more. He saves detailed description and deep reflection for moments when they truly count. His disciplined and patient approach controls the ebb and flow of the story, bringing the reader close at the most important moments while keeping the chronology moving forward. The story Simkins spins – the story that shaped the reality of his, his son’s and his family and friends’ lives – isn’t one I would wish on anyone. It is both harrowing and uplifting. The book that came of it however – a book that never panders or plods – is one that I would recommend to all.